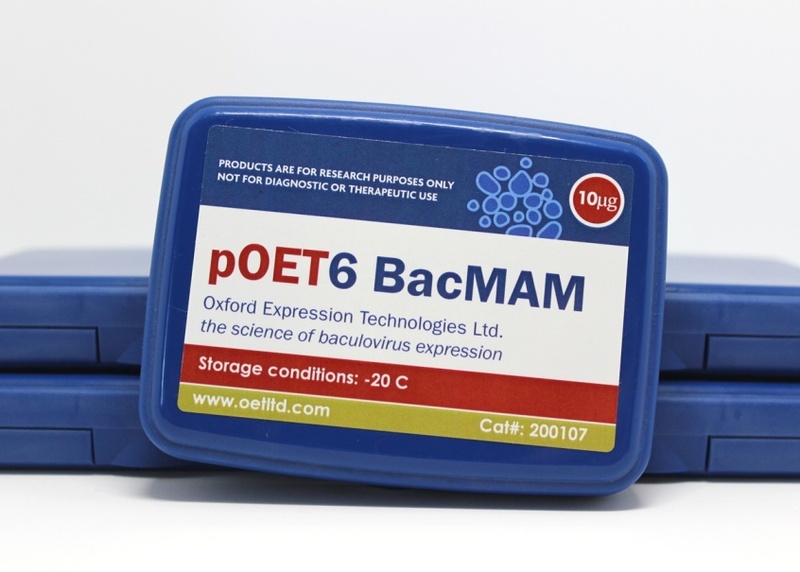 pOET6 BacMAM (cat# 200107) (10ug) is a baculovirus transfer vector designed for expression of foreign genes in mammalian cells under the cytomegalovirus (CMV) immediate early gene promoter. 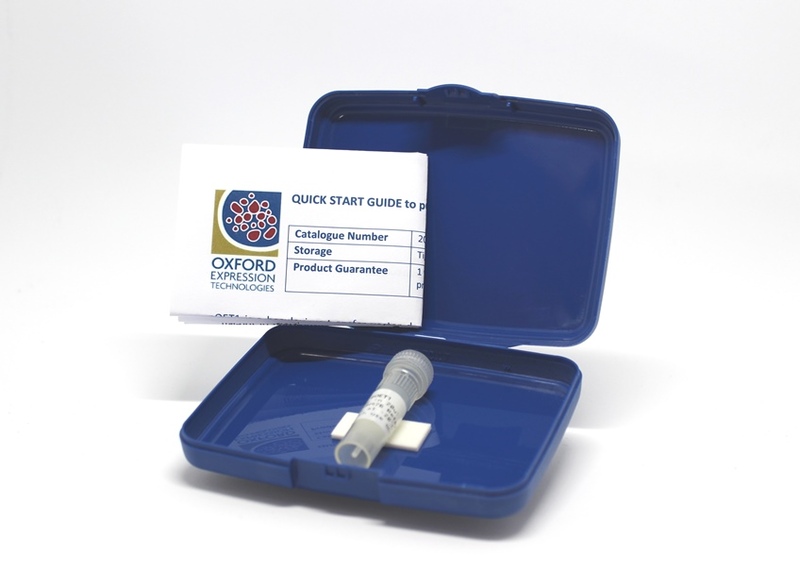 Using this powerful promoter allows for genes to be expressed in mammalian cell lines (e.g. 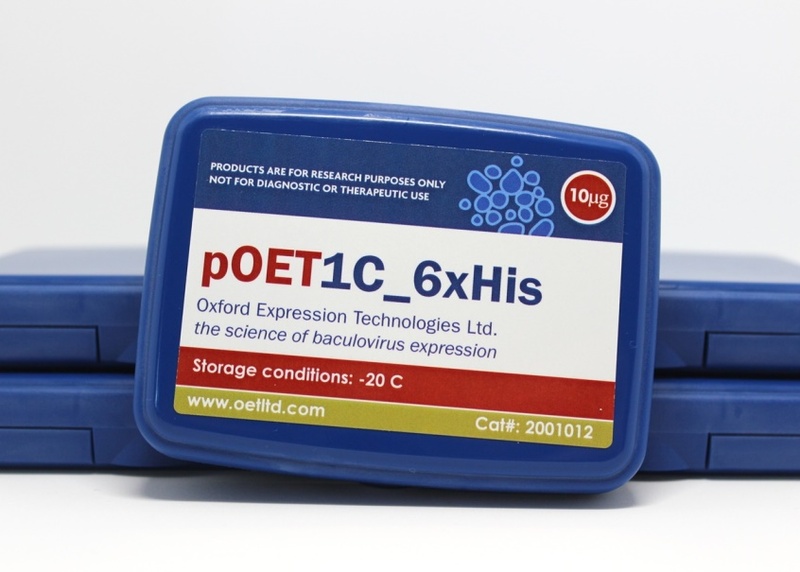 CHO and HEK) but prevents the baculovirus from replicating, thus making it one of the safest mammalian protein expression systems on the market. 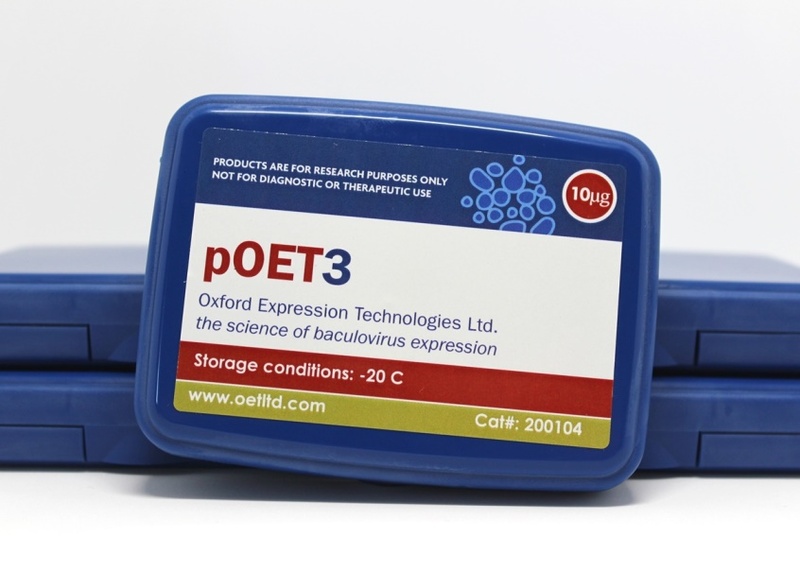 It has a bacterial origin of replication and an ampicillin resistance gene for selection in E. coli. 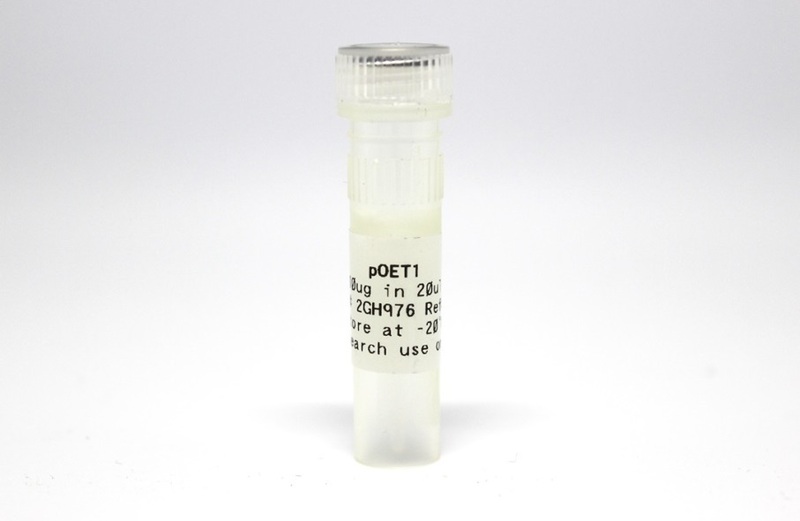 The polh sequences have been replaced by a multiple cloning site (MCS) containing unique restriction enzyme sites for insertion of the foreign gene in the correct orientation. 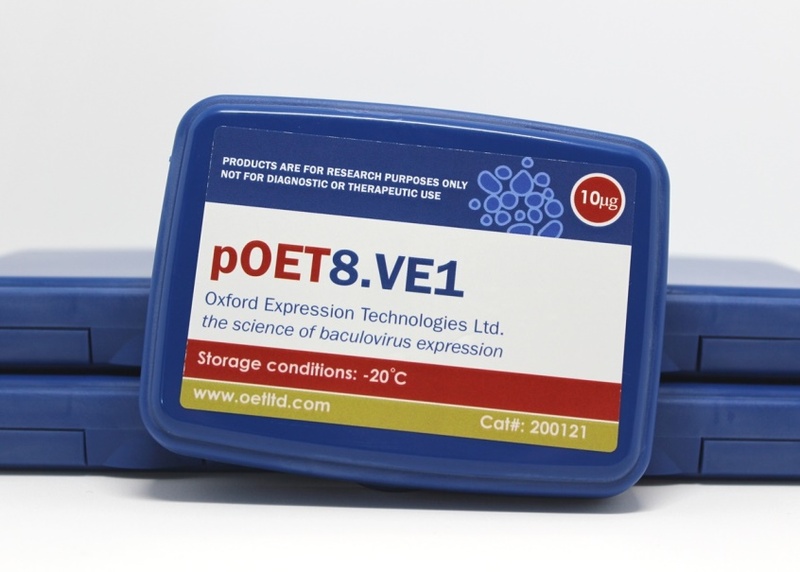 pOET6 is compatible with any baculovirus system that utilizes homologous recombination in insect cells. 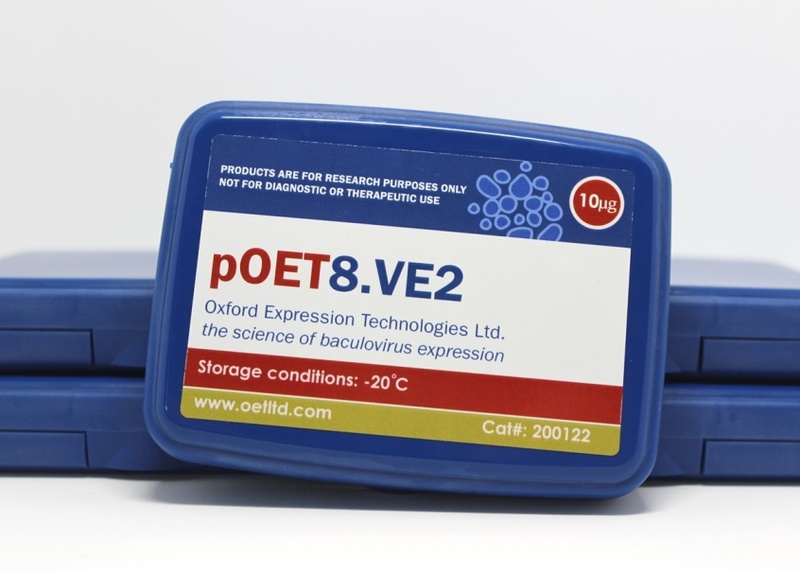 pOET6_BacMAM Gateway™ combines the pOET6 BacMAM vector with the rapid and easy to use gene shuttling Gateway™ Technology from Life Technologies.